This is a hand-made postcard that was created by sticking red stamps cut to shape onto a plain postcard to form a collage. 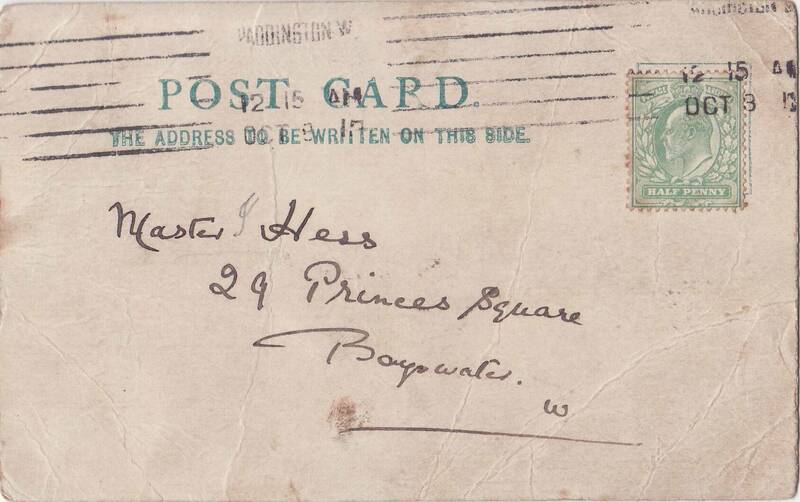 The stamps are all Edward VII one penny stamps and the postmarks that are readable on the front are dated 1904-06. The meaning of the text is a little opaque although it seems clear that the strange spelling of women is not a misspelling as the word is spelt correctly elsewhere and is placed in speech marks. I’ve seen a few available for sale over the years on the topic of women’s suffrage although, being hand-made, each is quite unique. Ian McDonald features another in his book (page 4, Vindication) and comments that a woman dressed in red and green on a white background would have been instantly recognisable as a member of the National Union of Women’s Suffrage Societies (NUWSS). 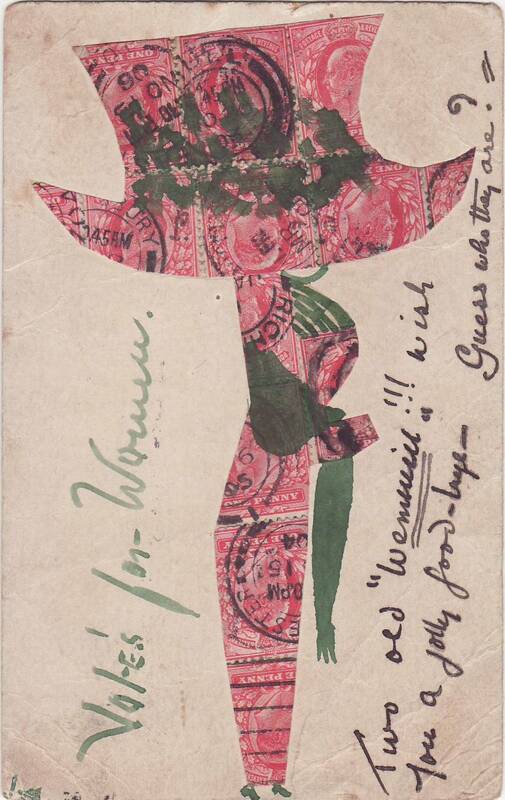 In his book Suffragettes and the Post (page 45), Norman Watson features three different home-made stamp collage cards, two by the same artist. The two are also posted in Paddington (West London) and the handwriting would suggest that it is the same creator as the card that I have.